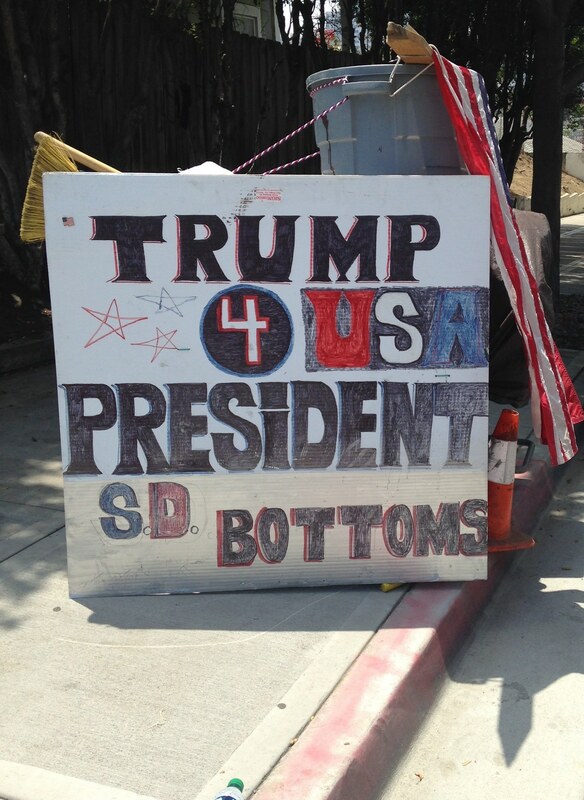 The Bottoms supports Donald Trump. 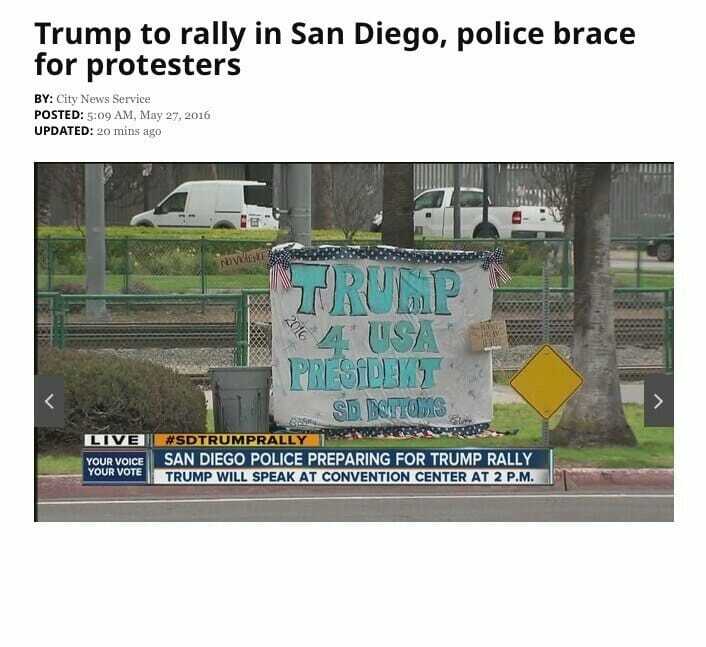 The photo above is in front of the San Diego Convention Center taken on the day Mr. Trump held his rally in San Diego. The second photo was seen where Interstate 94 ends and the San Diego Gaslamp District begins — very near Father Joe’s, a homeless services provider. The Homeless Feels Hope from Trump!